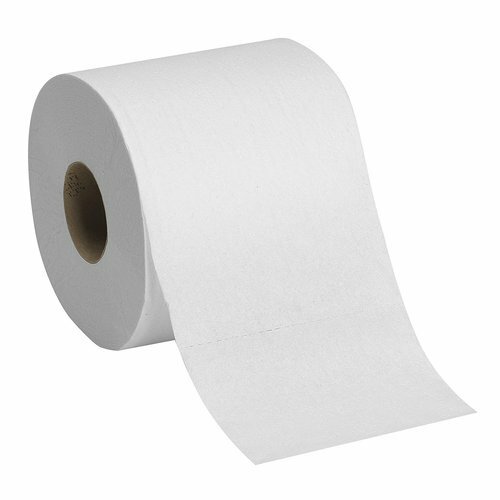 Leveraging the skills of our qualified team of professionals, we are instrumental in offering a wide range of Toilet Tissue Paper Roll. Established in the year 2017 at Mumbai, Maharashtra, We “Nova Industries” are Partnership based firm, engaged as the manufacturer of Toilet Paper, Facial Tissue Paper, Tissue Paper and Tissue Paper Roll. These products are precisely manufactured by our experienced professionals utilizing supreme grade raw material and advanced technologies. Furthermore, we ensure to timely deliver these products to our clients. Our goal is to be the number one global manufacturer of value added specialty tissue papers. We will achieve this goal through innovative products, superior knowledge of our customers’ needs, and modern, efficient manufacturing.We will achieve this goal while maintaining the highest ethical standards with regard to our employees, our customers, our suppliers, the environment and our community. NOVA manufactures a wide range of household and away-from-home paper products from its purpose built production facility in Mumbai . Paper products include Paper napkins, Toilet Rolls, Kitchen Towels and Facial Tissues which are manufactured to the highest levels of quality in brands and private labels utilizing the latest technological advancements. NOVA offers soft,hygienic and quality Tissue Paper Napkins under the brand name Wonder Tissues . Our paper napkins are widely used in restaurants, hotels, salons, beauty parlours, hospitals, offices, birthday parties and wedding parties . We also customize these paper napkins with logos and messages to meet the Corporate branding and advertising needs.